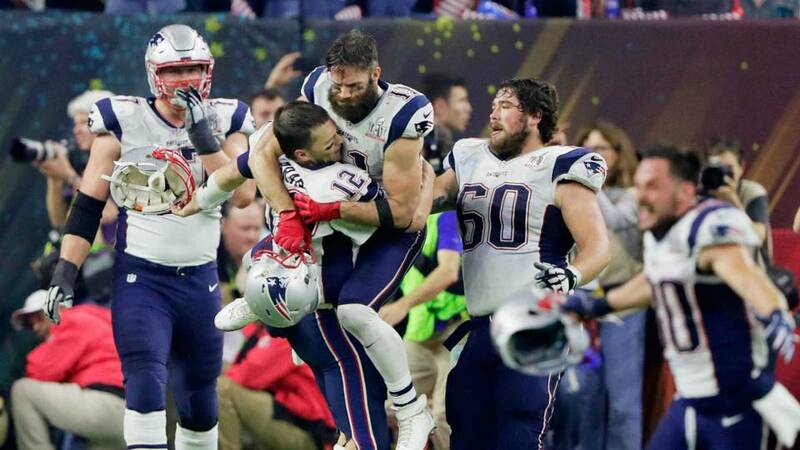 The Patriots pulled off the greatest comeback in Super Bowl history against the Falcons last February to take Super Bowl LI 34-28 in OT. But by the way the team is talking ahead of their Week 7 rematch with Atlanta, you would never know they faced the Birds at all last year, much less beat them. “The teams aren’t exactly the same, but the good thing is you can go back and watch the film and learn from it and see offensively how they were trying to attack us,” said fifth-year safety Duron Harmon, one of the team’s captains. “Although they have a different offensive coordinator, the head coach is the same, and the plays they had success on, I’m pretty sure they’ll want to do those again. Left tackle Nate Solder took it one step further, saying that the win "means nothing" now that the 2017 season is underway. “We’re facing them with a few new players, a few new different things that they do, and nothing from the past is going to matter. It’s going to matter what we do this week, with this team,” he said. While the message may seem blunt, he's pretty much spot-on: Reiss correctly pointed out that a whopping 17 players on the New England roster in Houston (practically a third of the depth chart) have moved on to different locales, landed on injured reserve, or retired. That includes key contributors like Julian Edelman, Malcolm Mitchell, Martellus Bennett, Chris Long, Logan Ryan, Rob Ninkovich, LeGarrette Blount, and Shea McClellin. With so many new faces on both sides of the ball, especially bombshell weapons like Brandin Cooks and pricey acquisitions like Stephon Gilmore, the pressure to defend the Super Bowl rivalry with a new-look club will be sky-high. We'll have to wait until Sunday night to see if the players can live up to them--but the intense focus is a good start.